Khyber Khasadar troops demonstrated a protest on Saturday against likely deployment of police officials in tribal districts at Karkhano check post located at the boundary of Peshawar and Khyber district. Dozens of Khasadar force personnel, flanked by tribal elders and the leader of Jamiat ullam-e-Islam, Fazalur Rehman, marched from Thakhtha Baig towards the Karkhano point as they chanted slogans against the imposition of police system in the former tribal districts. Various speakers including Subedar Mazhar, Subedar Jahangir and others spoke on the occasion and resented the forced deployment of police in the merged tribal districts. They exclaimed that it was not acceptable and the tribal people were not ready to give up their powers to police. Khasadar should be merged in Levies while police power should be assigned to Levies force, the leaders maintained. The rally was ended with a resolution to boycott the upcoming polio campaign. The protestors announced that till the acceptance of their demands, the Khasadar would not provide security to the health officials during their anti-polio drive. 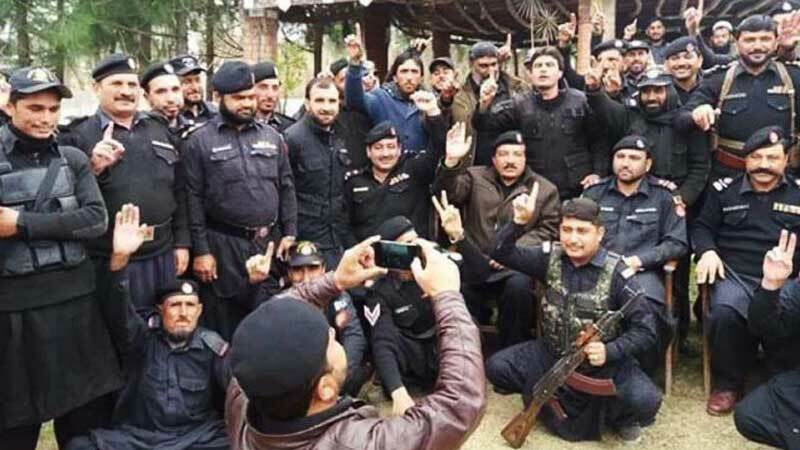 It may be pertinent to mention here that the government of Khyber Pakhtunkhwa has finalised lists of police officials, to be deployed in the former tribal agencies.